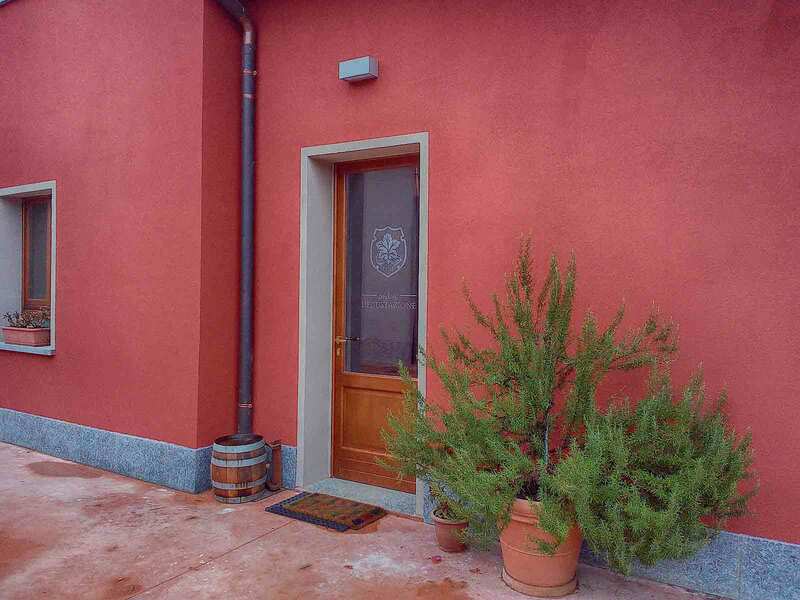 The Tosi family Winery is located in Montescano (Lombardy -Italy) – a town in the first hills of Oltrepò Pavese along the provincial road 201 Stradella – Zavattarello, between Stradella and Santa Maria della Versa. 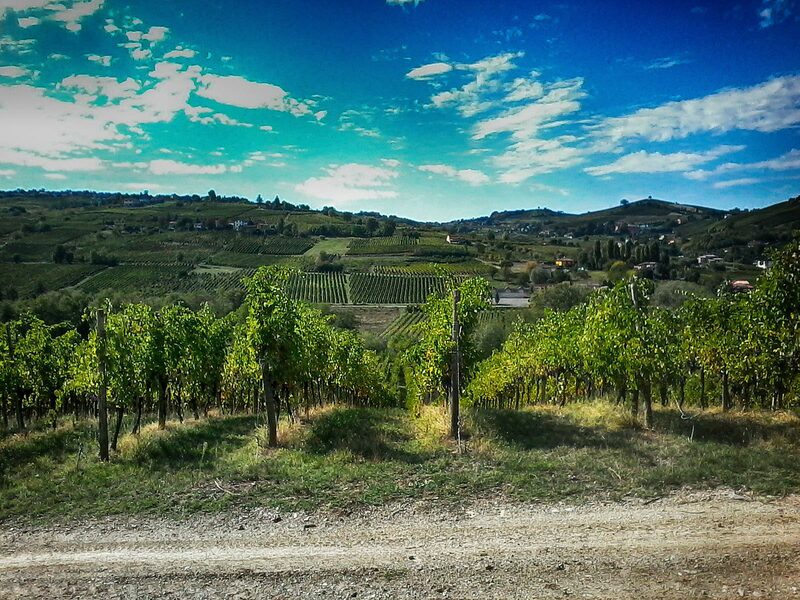 The wine production first started in the 60’s with siblings, Piero and Agostino, buying small lots of land. Through hard work and dedication, they started a new adventure in the wine and agricultural business. Their passion, commitment and love for their land will soon prove to be a source of satisfaction. 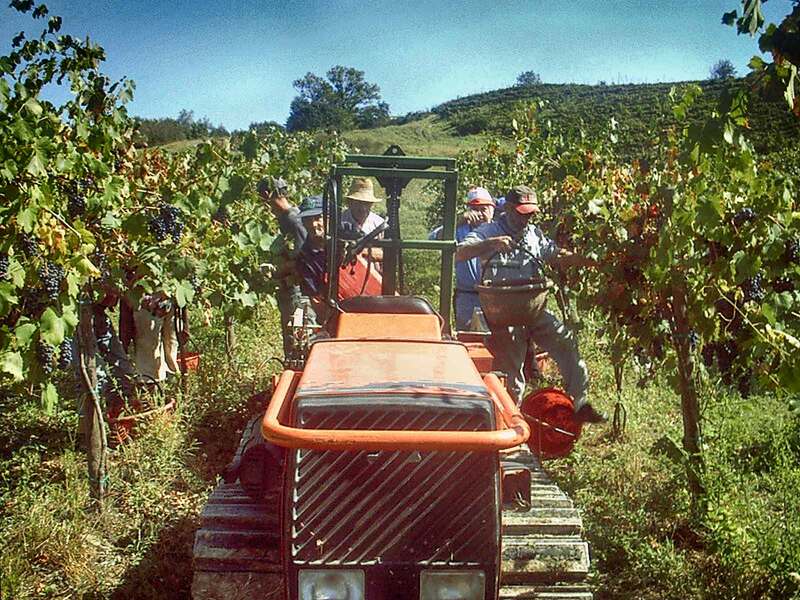 The winery has been managed by Agostino’s sons, Massismo and Giuseppe for the past twenty years. They work with the same passion as their father did and are personally involved in the management of the vineyards and all the enological operations from bottling to sales. The vineyards consists of 15 ha, mostly located in the municipality of Montù Beccaria and some in the nearby hills of Montescano and Castana. The main varietals cultivated are: Croatina, Pinot Nero (50% of the total surface), White Riesling, WelschRiesling, Barbera (30% of the total surface). The rest consists of Malvasia Bianca di Candia, Moscato and some local varietals like Vespolina and Uva Rara. Croatina is a red grape local variety with a high content in polyphenols (natural antioxydant), in particular tannins. This grape is used to make for an easy-drinking wine like Bonarda dell’Oltrepò Pavese and also to make excellent, first-rate wines to be aged for a long period, like Rosso Oltrepò and Buttafuoco. The Pinot Noir is a red grape that produces wonderful wines but at the same times is very difficult to grow and to vinify. In Oltrepò Pavese it is either used to make very smooth, ruby red, red wines, with hints of rose flower and wildberries or to make white base sparkling wines. Oltrepò Pavese is the third most important area in the world for the cultivation of this important grape. We focus a lot of our attention on this varietal through research and experimental cloning. The Pinot Noir is considered by most wine experts and critics worldwide, to be the most noble wine. The Welsch Riesling is a white grape with a medium yield. The wine obtained is straw yellow with greenish reflections, fruity and slightly mineral. It is often used for sparkling wines. The White Riesling is a higher quality wine with respect to the welsch riesling. It has sophisticated, fruity and mineral notes and with time, develops a pleasant hints of kerosene. It is a wine that improves with time thanks to its complex structure and personality which is something that we have been recently focusing on. Barbera is a red grape that gives a slightly lighter ruby red color wine. It is floral, low in tannins and is suitable to be aged in barrels. The varietal Malvasia Bianca di Candia Aromatica is a white grape with a very rich and complex flavour profile with primary aromas of cedar, lemon, peach, apricot and floral aromas of acacia and lavander. The color is straw yellow with golden reflections and it is used to make pleasant sparkling wines, very aromatic still wines or dried grape wines. The Uva Rara is a red grape that gives a slightly less intense ruby red color wine. It is floral andhas low tannins. It is used in blends with other varieties like Croatina, Barbera and Vespolina to make first-rate wines like Buttafuoco and Rosso Oltrepò. The Vespolina is a local red varietal. Its name is derived from the name, ‘wasp’, as they are especially attracted to the ripe Vespolina berries during harvest season. The Vespolina grape produces an intense ruby red colour of wine, gives floral and spiced notes and is light and winey. It is often used in blends with Croatina, Barbera and Uva Rara to make first-rate wines like Buttafuoco and Rosso Oltrepò. Uva Rara was one of the most important varieties in the Oltrepò Pavese since the 8th century but became less important as it was damaged by the phylloxera insect – attacking the roots of the vine. We focus particularly on this varietal by planting new Uva Rara vines every year.